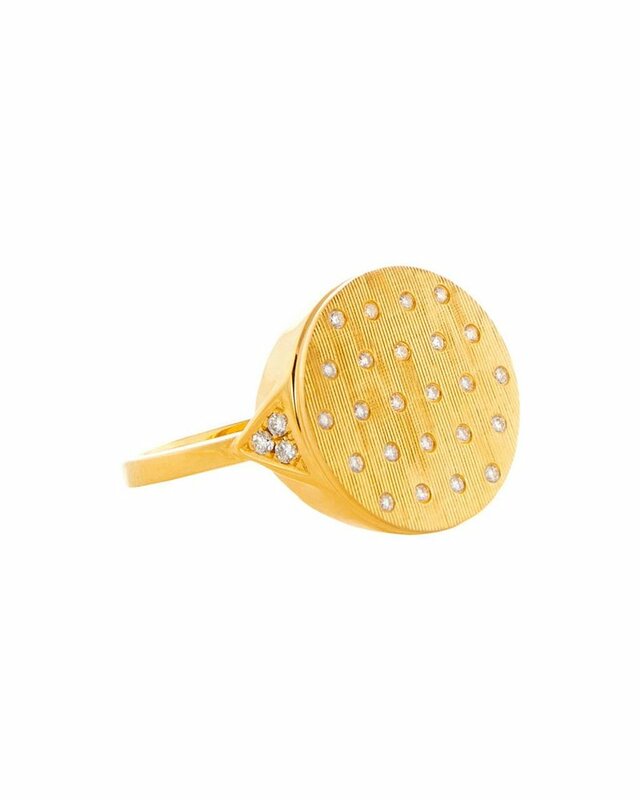 18k Yellow Gold & Diamonds Brett Signet Ring, Florentine Finish. Stock Size 6 1/2 . Sizing is Available. Please Contact us. 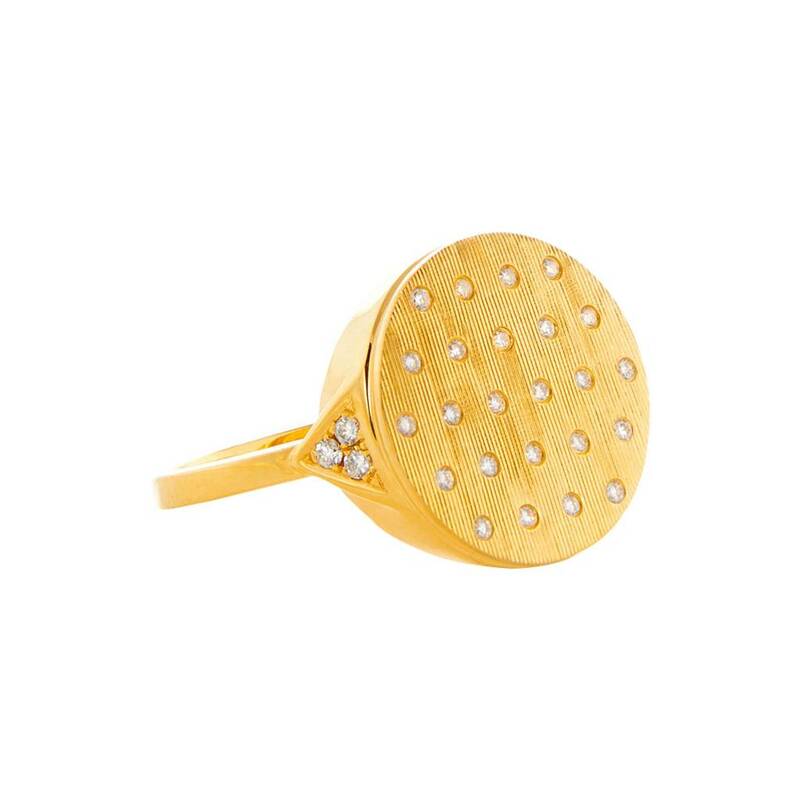 This Signet Ring is, Also Available in, Rose Gold, & White Gold.